The soldiers pointed their guns at Odoge Otiri and led the 22-year-old student into the forest outside his village in western Ethiopia. Then, he says, they began pounding him with their nightsticks, leaving him bloody and unmoving. That night, soldiers arrested his wife, Aduma Omot. They held her for two days, she says, before they let her go. 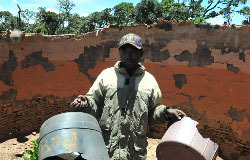 The soldiers attacked them, Otiri says, because he opposed Ethiopian authorities’ efforts to force him and his neighbors from their homes as part of the country’s so-called “villagization” effort — a massive social engineering project that sought to move almost 2 million poor people to newly built sites selected by the government. Otiri and Omot are among thousands of Anuak, a mostly Christian indigenous group from the rural Ethiopian state of Gambella, who have fled from Ethiopia’s mass relocation campaign. The Ethiopian government financed the evictions in part by tapping into a pool of aid money from the world’s most influential development lender, the World Bank, two former Ethiopian officials who helped carry out the relocation program told the International Consortium of Investigative Journalists. The money, the former officials said, was diverted from the $2 billion in funding that the World Bank had put into a health and education initiative. The World Bank strongly disputes that its money supported the mass evictions in western Ethiopia. Even as Anuak refugees and human rights groups have publicly charged that World Bank money has been used to bankroll brutal evictions, the bank has continued to send hundreds of millions of dollars into the same health and education program. New evidence gathered by ICIJ undermines the bank’s continuing denials that its money bankrolled the evictions. One of the two former officials interviewed by ICIJ was well-positioned to know exactly how World Bank funds were being used: Omot Obang Olom, the former governor of Gambella, oversaw the resettlement program in his state. Olom told ICIJ that he personally oversaw the diversion of some $10 million from the World Bank’s health and education initiative, redirecting the money to finance mass relocations through the villagization program. He said senior officials in Ethiopia’s federal government instructed him to divert the funds, and this money was essential to conducting the resettlement program. “If we were not ordered by the federal government to reallocate the World Bank budget for the program, the program would not be possible,” Olom said. Olom, who left the country last year and is now seeking political asylum in the Philippines, has never before spoken to the news media about the eviction program. He now acknowledges that the mass evictions were carried out through threats and violence. The evictions in Ethiopia fit a larger pattern. Communities displaced amid World Bank Group projects in Nigeria, Honduras, Kenya, Indonesia, India, Guatemala and Uganda have accused the organization’s borrowers of committing human rights violations. Governments and companies backed by the World Bank or its private-sector lending arm, the International Finance Corp., have bulldozed and burned homes and deployed soldiers or private security operatives who have arrested, beaten or even killed people, residents of affected communities have said in official complaints and in interviews with ICIJ. Human rights experts say the bank is undercutting its mission of helping the world’s poorest people by failing to embrace international policies upholding human rights. A spokesman for the World Bank said the bank takes communities’ reports of human rights abuses “very seriously,” and that “these cases show we must continually improve our approach to supervision.” He said the bank has been a leader for decades in setting strong safeguards for people living in the footprint of its projects, and that its proposed new rules go “as far as or further than any other multilateral development bank” to protect vulnerable populations. The World Bank’s Ethiopia program director, Toulmin, said the bank’s mission is to support initiatives that fight poverty, not to police unrelated activities by its borrowers. “We are not in the physical security business,” he said. In Ethiopia, claims of human rights abuses associated with mass evictions in Gambella prompted neighboring South Sudan — a nation ravaged by a civil war — to grant group refugee status to Anuak who have fled Ethiopia. Otiri and Omot escaped the violence in Gambella in the summer of 2011 by trekking across the Ethiopian border into South Sudan. The young couple did not make the journey together. When he awoke alone in the forest after his beating, Otiri faced a choice. If he returned home, he would likely put both himself and his wife in further danger. He decided the safest thing was to head for an Anuak settlement in South Sudan. He hoped his wife would realize what had happened and follow him there. Shortly after her husband disappeared, a neighbor told Omot that soldiers had taken him into the forest. She feared the worst. Later that night, three soldiers arrived at her parent’s compound, looking for Otiri. They demanded, she says, that she tell them where her husband was hiding. When she said she didn’t know, she says, they arrested her and marched her toward their camp, at one point pushing her to ground because she wasn’t moving fast enough. At the soldiers’ open-air encampment in the village of Gog Depache, they continued to interrogate her about her husband’s whereabouts. When she again insisted that she didn’t know, she says, the soldiers raped her. She headed for South Sudan, not knowing what she would find at the end of her journey. Otiri and Omot fled from Gambella across the border of South Sudan before heading to the Gorom Refugee Camp, a settlement of Anuak who fled violence in Ethiopia. The World Bank has long made Ethiopia a top priority, funneling loans to its government to help the East African nation of some 90 million people move past its legacy of poverty and famine. In 2005, the bank cut off funding for Ethiopia after the country’s authoritarian leaders massacred scores of people and arrested some 20,000 political opponents following disputed elections. A year later, the bank lifted its ban, launching a new strategy of funding local and state governments rather than central authorities. In 2006, the bank approved $215 million in loans and grants to support a program, called Protection of Basic Services, that’s supposed to provide health care, education, fresh water and other support to rural Ethiopians. 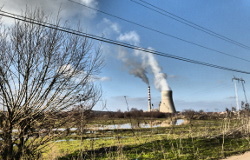 In May 2009, the bank approved $540 million to extend the program. Soon after, the Ethiopian government began rolling out its ambitious resettlement campaign. The villagization program sought to relocate 1.9 million people in four rural states with large indigenous populations, moving them into larger settlements where authorities could provide schools and clinics. 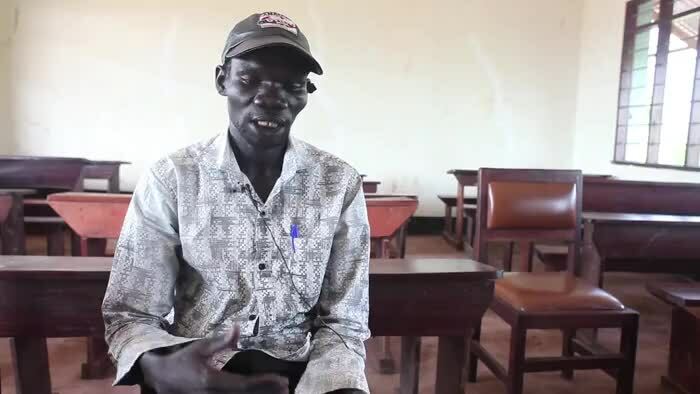 Othow Nyigwo, then an education administrator in the state of Gambella, says that in February 2011 superiors summoned him and other local health and education officials to a meeting with Olom, Gambella’s governor at the time. At the meeting, Nyigwo says, Olom ordered him to divert some $1,500 in World Bank funds intended for primary school classes into the relocation program. Olom gave the same order to divert funding to all the officials assembled at the meeting, Nyigwo says. “This money which was given from the World Bank had to be given to the villagization program,” says Nyigwo, who is now living in a refugee camp in South Sudan. 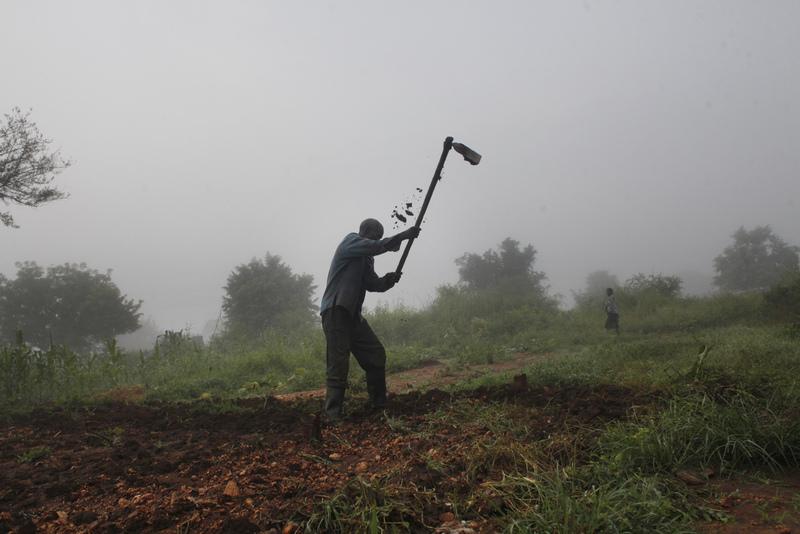 As a local supervisor for villagization, Nyigwo heard repeatedly from Anuak villagers who complained they were being forced to give up fertile farmland in exchange for small, barren plots at the new government sites. When he reported these complaints to his superiors, he says, they told him he should stop causing trouble. Olom, the former governor, confirmed Nyigwo’s account of the February 2011 meeting. Olom says federal officials directed him to divert the funding after it became clear that the government didn’t have enough money to fully finance the relocation program. By the second year of the villagization effort, Olom says, top officials told him he needed to tap other sources of funding, including money coming in from the World Bank’s health and education initiative. He says he diverted 90 million Ethiopian birr — roughly $5 million at the time — in each of the next two years. He says higher ups assured him that he wouldn’t be blamed for diverting money from the World Bank and other funders — and worked with him to obscure the money trail. Olom is a controversial figure. An Anuak himself, he is reviled by many Anuak for his role in carrying out the mass relocations. He has also been accused of corruption and of complicity in a 2003 massacre of his fellow Anuak when he was Gambella’s security chief prior to becoming governor. Olom denies these allegations. He claims he fell out of favor with Ethiopia’s federal authorities after more than a decade as a public official, including as a governor and federal minister, because he raised questions about the government’s treatment of the Anuak. Olom maintains that he initially believed the relocation program would help poor people in Gambella, so he went along with federal authorities. “I was a good friend of the system,” he says. Felix Horne, a researcher with Human Rights Watch who focuses on Ethiopia, said that while Olom may be seeking to repair his reputation, his allegations are credible. The Ethiopian government did not respond to ICIJ’s inquiries directed to its embassy in Washington, D.C., its Ministry of Foreign Affairs, or its country office at the World Bank. As Olom and Nyigwo were helping to carry out Ethiopia’s resettlement push, the World Bank was conducting an assessment of the program. Concerned after learning about the campaign in late 2010, bank staffers visited western Ethiopia in February and March 2011 to see how relocations were being carried out. The team traveled to Benishangul-Gumuz, a state north of Gambella that was selected for the relocation program but didn’t have an Anuak population. In late February 2011, even before the review team had finished its work, the bank approved another extension of the basic services program, sending another $420 million to Ethiopia. Much of the money went to Gambella and other states that were taking part in the resettlement program. Toulmin, the bank’s Ethiopia coordinator, said the bank also relied on field visits by other foreign donors who went to Gambella and shared their findings. He said that, like the World Bank’s review team, these missions did not encounter any evidence of violence or forced evictions. Even as the field visits soothed the bank’s concerns about villagization, the Ethiopian government had turned over large tracts of land in Gambella to private investors in exchange for leasing fees. The Anuak, who lack legal title to their ancestral lands, received nothing in return, Anuak refugees say. In Ethiopia, the government officially owns all land, but occupants are supposed to retain some customary rights. Forty-two percent of land in Gambella was being leased or marketed to investors, according to a 2011 report by the Oakland Institute, a U.S.-based advocacy group that’s critical of widespread transfers of land to corporations in developing countries. Among the largest leaseholders in Gambella is Saudi Star, a conglomerate owned by Ethiopia’s richest man, Saudi dual citizen Sheikh Mohammed Al-Amoudi. 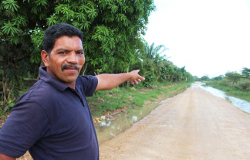 Land previously occupied by Anuak is now being used by Saudi Star for commercial plantations, according to two Anuak elders interviewed by ICIJ and reports by the Oakland Institute and Human Rights Watch. 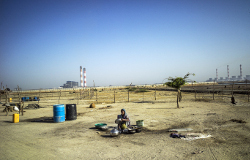 The government cleared small villages within what became the Saudi Star lease area and relocated the residents as part of the villagization program, the Oakland Institute’s report said. A spokeswoman for the sheikh confirmed that Saudi Star has leased 10,000 hectares in Gambella, but denied any of the land had been occupied by Anuak. “No people or farmers were relocated from the land on which Saudi Star is operating,” she said. As they pushed Anuak villagers out of their homes, local officials conscripted many of them to work on building the new, government-selected sites. Odoge Otiri, the young husband who says he was assaulted by soldiers, says he drew their anger because he had stayed home and refused to work cutting tall grass to thatch the roofs of the new homes that he and his neighbors didn’t want. The soldiers smashed away at his elbows and knees with their sticks, he says, until he passed out. When he regained consciousness, he saw that he was alone, with no soldiers or any signs of a village in sight. He walked nearly two hours to reach another Anuak village. “Even though I was walking slowly and I was scared, God guided me on my way,” he says. Though Otiri was a stranger, a woman there took care of him out of concern for a fellow Anuak. She tended to his injuries for three days while he regained strength. Then he began the long, slow walk to the border. He had no way at the time to send word to his wife and no idea what was happening to her back in their village. When he reached the Anuak settlement in Pochalla, South Sudan, he asked two businessmen who were heading to Gambella to look for Omot and tell her where he was staying. After his wife, Aduma Omot, was released by the soldiers, she faced a painful choice of her own: whether to stay in Ethiopia or to flee and hope to find her husband across the border. Without word from her husband, she also decided to leave Ethiopia. She began walking toward Pochalla. Along the way, in the town of Pignudo, she encountered the two businessmen. They told her that her husband was alive and was awaiting her in South Sudan. When she reached the Anuak refuge in Pochalla, two small children led her to the compound where her husband was staying. In late 2011, Human Rights Watch confronted the World Bank and the Ethiopian government about reports of abuses stemming from the resettlement program in Gambella. These accounts, which it detailed soon after in a report called “Waiting Here for Death,” described a campaign of evictions enforced by arbitrary arrests, beatings, rapes and killings. One villager quoted in the report described soldiers using guns and sticks to beat a 19-year-old so severely that he began vomiting blood and died soon after. The bank denied that resettlement was being imposed by force or that World Bank money had been used to support forced relocations. The bank said its investments in Ethiopia had helped slash child mortality in half and increase primary school enrollment by 13 percent in less than a decade. The Ethiopian government has said its resettlement campaign in Gambella relocated 37,883 families before it concluded in mid-2013. With few other options, Anuak refugees turned to the World Bank’s internal watchdog unit, known as the Inspection Panel. 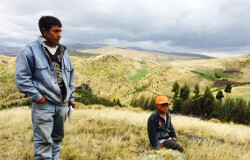 Working with an American nonprofit organization, Inclusive Development International, a group of Anuak refugees filed a 21-page complaint in September 2012 charging that the bank’s support for the Protection of Basic Services program violated the bank’s rules against wrongful evictions and dispossessing indigenous groups. It said the services financed by the bank were “precisely” those to be provided by the resettlement campaign, meaning that bank funds were “substantially contributing” to the evictions. In a series of meetings with World Bank officials, Anuak refugees described widespread abuses by the government. Toulmin, the bank’s Ethiopian program director, said that the refugees’ accounts weren’t enough to outweigh the findings of field missions by the bank and other foreign donors that found no evidence of widespread forced evictions or human rights abuses. “At the end, we simply had to agree to disagree,” Toulmin said. A day after the complaint was filed, the bank approved another $600 million dollars in spending for the basic services program. In February 2014, a team from the Inspection Panel headed to Ethiopia to conduct a field investigation in Gambella, which remains home to tens of thousands of Anuak. But when the investigators began travelling to new government-built villages to meet with Anuak who’d been resettled, they found that the Ethiopian authorities had gotten there first. So while most of the team conducted public meetings, Kurimoto decided to meet privately with villagers in their homes. Even in the formal meetings, Anuak described armed soldiers accompanying government officials who told them to evacuate. But some of their testimonies in the private conversations were far more troubling. In these private sessions, they described shootings, arbitrary arrests and sexual violence, according to transcripts of Kurimoto’s discussions with villagers. When the panel released its report in February 2015, the voices of people who described threats and violence were largely absent. The Inspection Panel said it didn’t have the authority to investigate allegations of human rights violations by the bank’s borrowers. Its only role, it said, is to determine whether the bank violated its own rules. The panel’s report criticized the bank for ignoring evidence of an “operational link” between the bank-financed project and Ethiopia’s eviction campaign and for failing to do anything to protect affected communities. But the panel stopped short of assigning the bank blame for the mass evictions. Because the evictions were not a “necessary” part of the health and education program, the panel said, the bank couldn’t ultimately be held responsible for them. Kurimoto, the panel’s own expert, thought this conclusion didn’t make sense. In March 2015, the World Bank approved a new $350 million loan to Ethiopia, which included support for local government in Gambella. 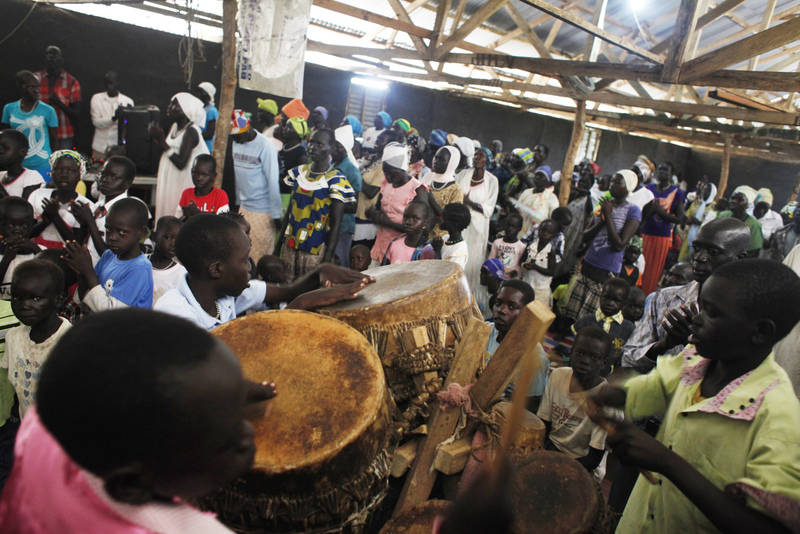 On a sweltering Sunday morning in South Sudan last summer, hundreds of Anuak refugees packed onto the dirt floor of a small, dimly lit church. At the front of the congregation, a tall young man with a microphone began to sing. At first his forceful baritone hung alone in the hot, close air, but he was soon joined by a burst of song from the choir. Then the congregation rose to its feet, clapping along. Sweat dripping from his face, the singer paced down the narrow aisle, his hoarse and powerful voice exhorting all to worship. Some raised their hands in the air. Piercing ululations from women rang out over the voice of the choir. In the war-torn nation of South Sudan, Gorom Refugee Camp is a bastion of faith for more than 2,000 Anuak who have fled Ethiopia. They are struggling to rebuild their lives amid scarcity and an unknown future. Odoge Otiri and Aduma Omot live in a two-room shelter beside a patch of okra and cassava that Otiri is cultivating. They have been in Gorom, supported by aid from the United Nations, for more than two years. Otiri says that there is nothing to do there. But they haven’t given up. Without much hope that they can return to Ethiopia, they are doing their best to make new lives in a new land. Since they arrived, their family has grown to include their first child, a baby daughter. The girl fidgets in Omot’s arms, occasionally reaching out to breastfeed. Sasha Chavkin is a reporter at the International Consortium of Investigative Journalists. He traveled to Ethiopia and South Sudan for this story.